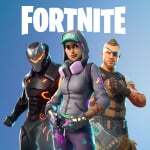 Shoot a Clay Pigeon at Different Locations is one of the Battle Pass Challenges in Season 5 of Fortnite. 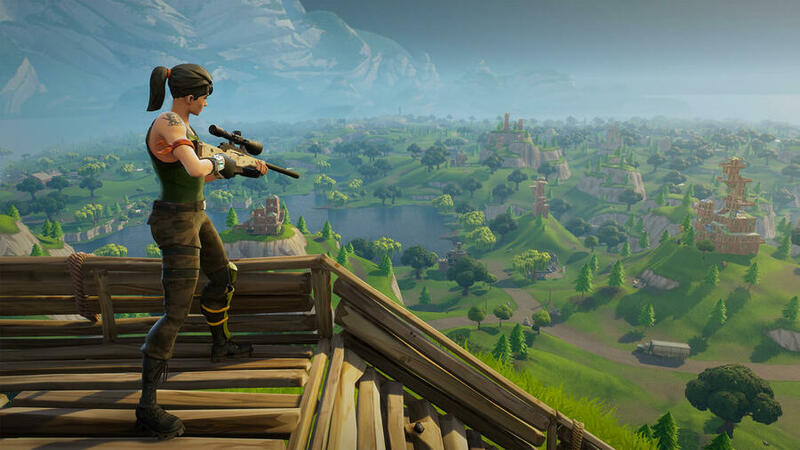 In this guide, we're going to help you find the location of every single Clay Pigeon, then you can move on to the other difficult challenge this week, Follow the Treasure Map Found in Flush Factory. 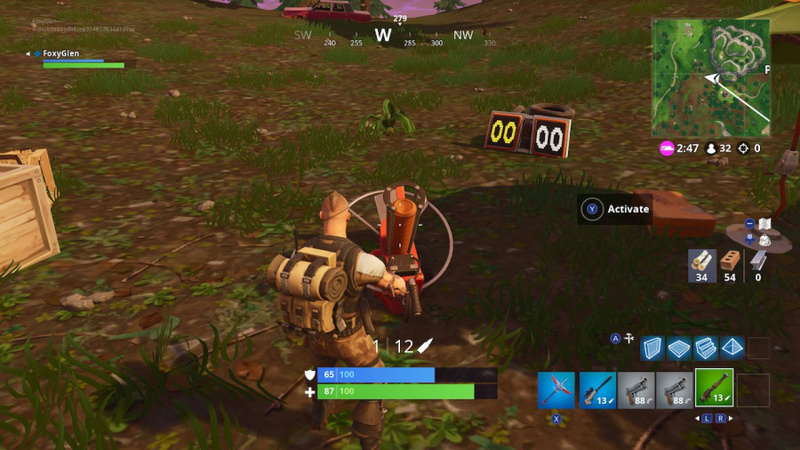 To complete this challenge, you have to find and shoot five Clay Pigeons, which are dotted across the Fortnite map. When you've found the location of a Clay Pigeon, you have to activate the device to release the pigeon. Then, you have to shoot it before it hits the floor. Given the small time frame, we'd recommend a gun that can shoot lots of bullets in a short frame of time, and has plenty of range. We've had the best luck with assault rifles and pistols. We've uncovered six different clay pigeon shooting locations so far, which are detailed on our map above. Below, we'll include screenshots of every single location to help you narrow it down. 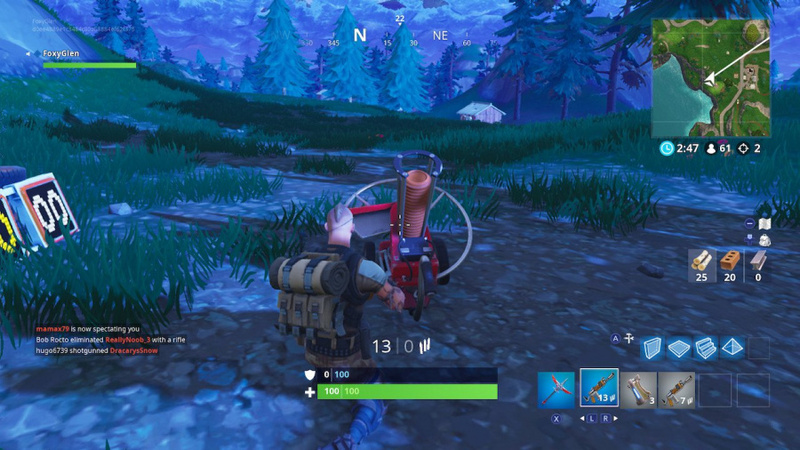 This Clay Pigeon is east of Pleasant Park, at the base of a cliff. Between Shifty Shafts and Flush Factory, you'll find the Clay Pigeon by the seaside cliffs. 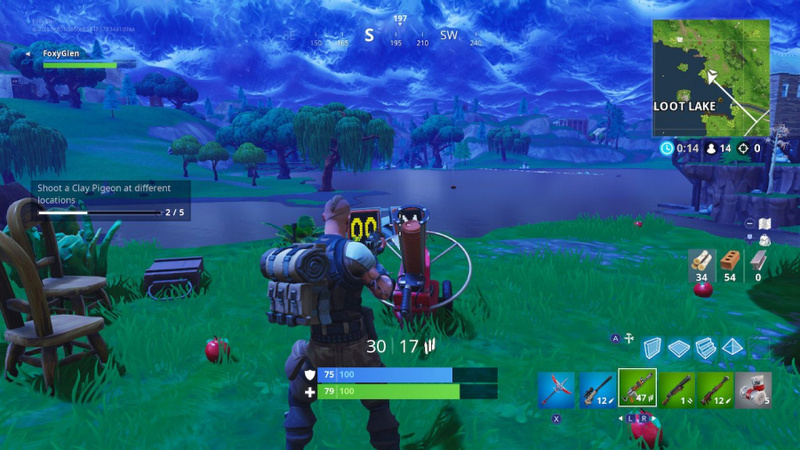 This Clay Pigeon is on top of a cliff directly north of the 'E' in 'Lake'. 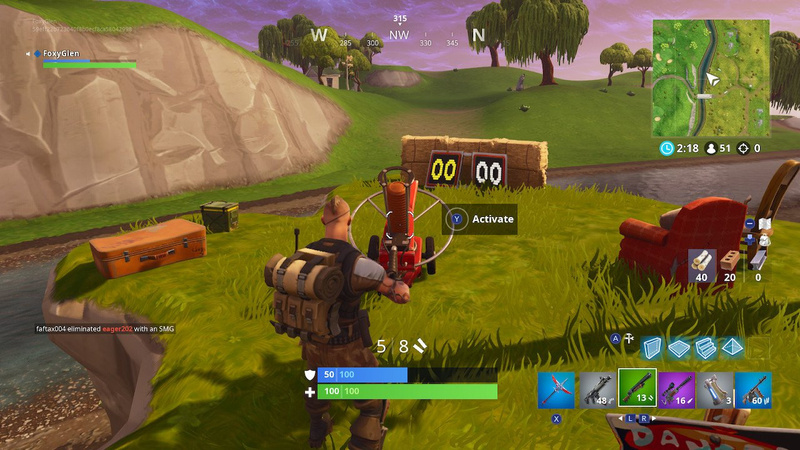 This Clay Pigeon is just to the north of the bridge between Lazy Links and Risky Reels. 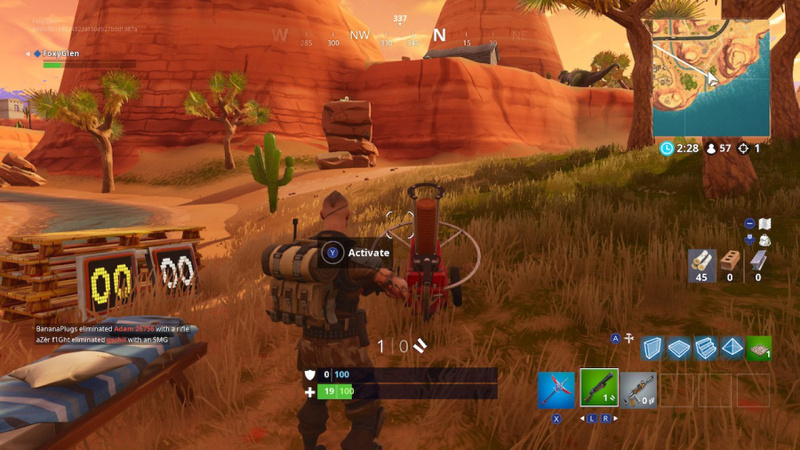 Directly north of Lonely Lodge, you'll find a Clay Pigeon at the base of a cliff. 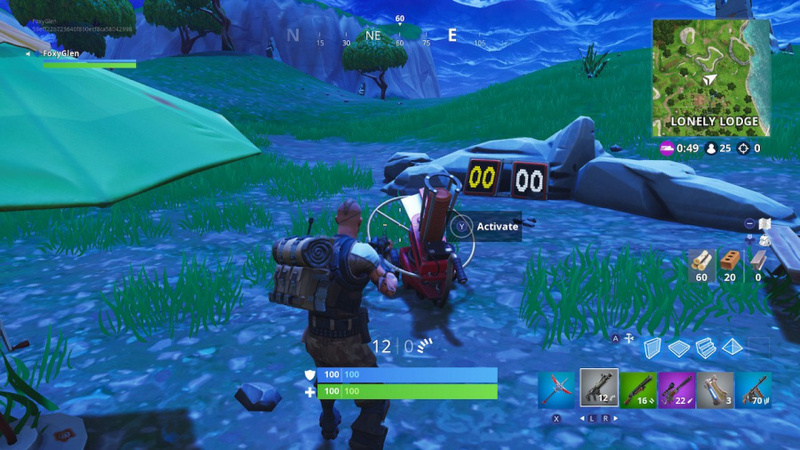 South west of Paradise Palms, where the river meets the ocean, you'll find a Clay Pigeon on the right side of the river near a cliff face. Bear in mind that you do have to shoot Clay Pigeons in five different locations though. 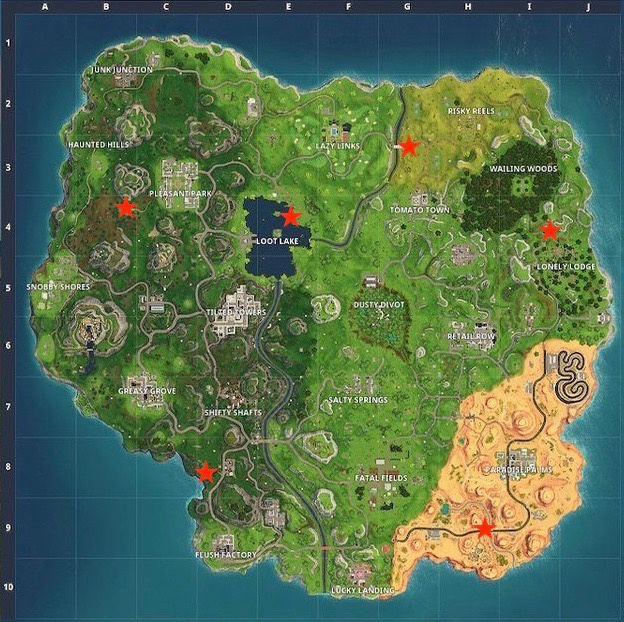 You can't just head to the same location in five different matches to complete the challenge. With this in mind, it's worth keeping a note of the locations you've shot pigeons in so you don't lose track.